mm.. i thought that arron and calvin were gonna be in momo love together.. but it sez that jiro is..
Oops sorry i didn't even noticed that i double posted. why not jiro that pLays in this fiLm? i thing it's a good combination if Jiro with Mike He..!! Lol i dunno. Jiro wasn't in the casting. Guess he didn't want to do two dramas? he do it to his mom..
lol.. He is super hardworking. But maybe with the new string of concerts he just didn't wanna try out for this drama or they didn't ask him. when this fiLm wiLL come to indonesia??????????????? Lol! I don't know! It hasn't even come out in Taiwan yet!!! lol. It comes out in January in Taiwan/ internet. I think i've already said this. Can't remember, but if you want to post pics please put them in the picture forum. what's the title of this new drama series? It's called Love Buffet. They stalled the filming so it'll take a while more before it airs. It's not airing because it's not finished filming yet. 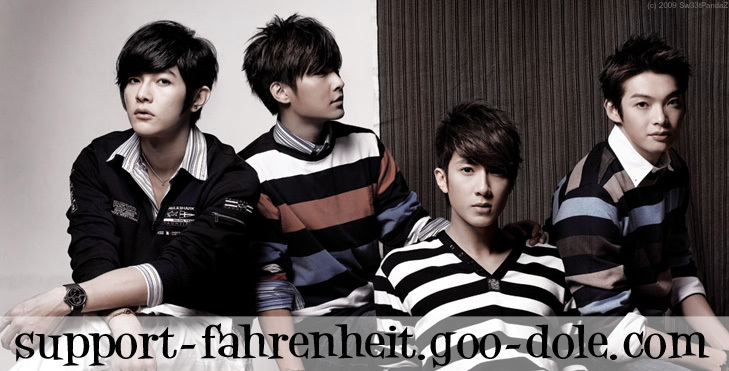 They had to stop because of the typhoon in taiwan and also Fahrenheit activities with their new album has delayed both the album and the drama. Sad for me lol i was anticipating it early 2010.
hikz....so its wiLL makes me waiting for a Long time.. huff..